Looking for a new jersey? I’m sure you want to sport one that no one else is wearing, right? Here are five throwbacks to run the hell away from when you see them hanging on a store rack. A few are hideous, several are confusing, and one just reminds us of the sad end beset to the career of one of the best players in baseball history. Everyone wants a jersey that no one else owns, but these are not the ones to choose to fill that hole in your collection. Please god, no. I cannot communicate the quizzical, confused, and angry emotions that emerged when the nine-year-old version of myself learned that Willie Mays, one of the greatest outfielders of all-time, ended his career as a New York Met. The “Say Hey Kid” began his career in Major League Baseball with the New York Giants, moving with the team to their current home of San Francisco in 1958. Mays put up 646 home runs and won 12 Gold Gloves as a Giant, but the San Francisco Giants traded the 41 year-old Hall of Famer to the New York Mets in the 1972 season due to financial problems. Mays played 135 games in two seasons as a Met, hitting a .238 and putting up 14 home runs in his bittersweet return to New York. 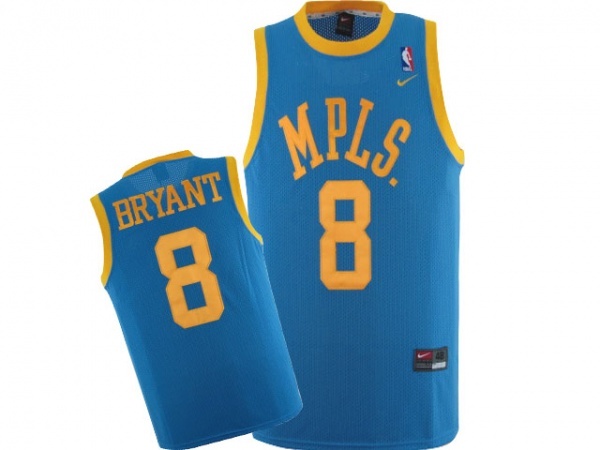 Before the Lakers took over Los Angeles and made the Clippers their little brother, the team gained its namesake in Minneapolis, a city within theÂ “Land of 10,000 Lakes.” The Lakers, with a roster including future Hall of Famers Kobe Bryan and Shaquille O’Neal, wore this jersey on April 11, 2002 as the team raised aÂ banner honoring a league championship won by the Minneapolis Lakers. You can check out highlights of the game below. The Minneapolis Lakers jersey might be one of the most horrifying combinations of fabric in sports history. The colors are decent, but the jersey lacks the entire name of the city, choosing to abbreviate Minneapolis as MLPS with a period at the end. Why the period is necessary, I don’t know. I’m pretty sure MPLS stands well on its own. Warren Moon didn’t even make the trip over to Tennessee in 1997, as Warren Moon joined the Minnesota Vikings in 1994 and revitalized his career. The Titans took over the the Houston Oilers history, with the Titans retiring his jersey number in 2006, even though the Hall of Famer never played for the team and actively played against the Titans for the final seven years of his career. 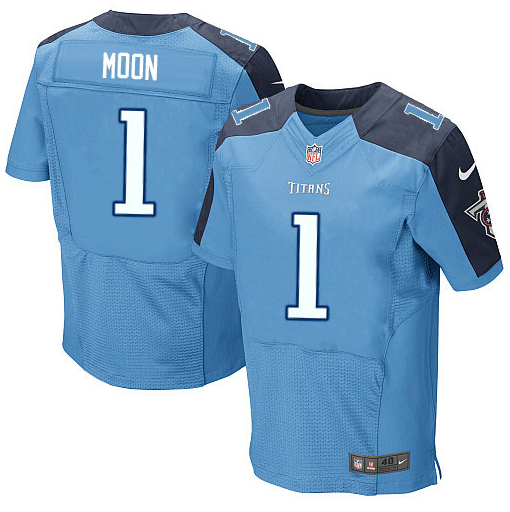 Although it doesn’t fit chronologically, the Tennessee Titans, Nike, and other outlets will gladly take your money and sell you a Warren Moon Tennessee Titans, making you look foolish in the process. The Great One played 31 games as a St. Louis Blue after being trading by the Los Angeles Kings in the 1995-96 season. Lined up goal scoring beast Brett Hull, sportscasters speculated that Hull could put up 100 goals in a full season with Gretzky as his center. In the off-season, however, Gretzky signed with the New York Rangers, the other team attempting to pry the NHL All-Time scoring leader from the Kings. Gretzky led the Blues in scoring in the 1995-96 playoffs, but the team met an unceremonious defeat at the hands of the Detroit Red Wings in the conference semi-finals. Blues coach Mike Keenan publicly blasted Gretzky during the playoffs, further pushing the Great One away. 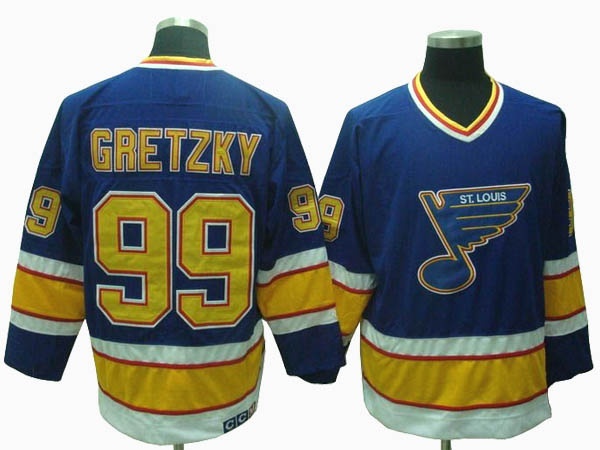 This is not the only “temporary” jersey that Wayne Gretzky wore in his career. Gretzky played for theÂ Indianapolis Racers jersey for eight games in the World Hockey Association before joining the Edmonton Oilers and entering the NHL. 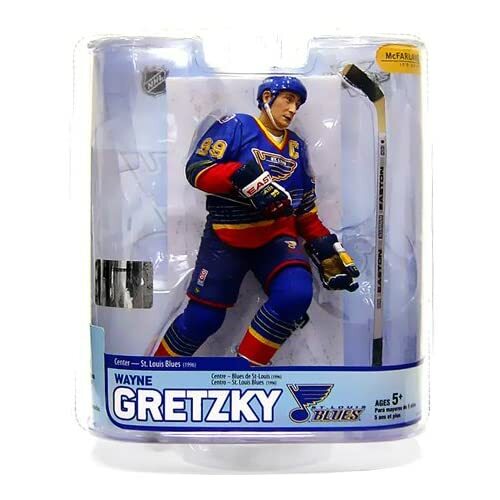 Let’s just pretend Gretzky’s tenure with the St. Louis Blues never happened and do our civic duty to not remind others of it in public. McFarlane action figure was made to commemorate this stint, as well, and all of these plastic dolls should be burned. Â Jordan returned for the 2001-02 and 2002-03 season as a member of the Washington Wizards, donating his player salary from the first season to victims of the 9/11 terrorists attacks. 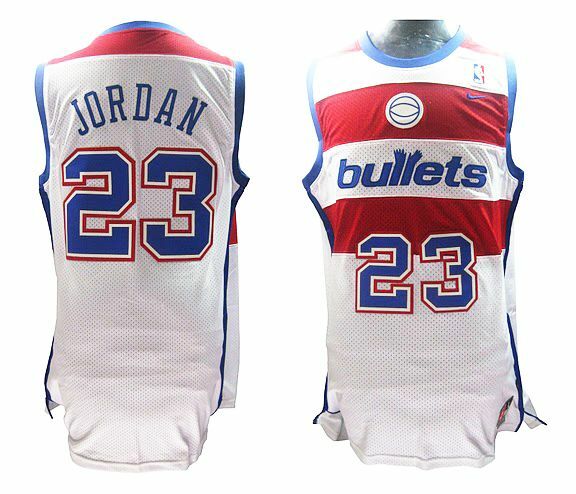 Jordan served as minority owner and president of the team since 1999, with the team changingÂ their name and logo from the Bullets to Wizards in order to detract from Washington, D.C. area gun violence. Sure, Michael Jordan came back and played for the Washington Wizards. His intentions were good. But, when he came back, Jordan lacked a certain flair. Time took its toll, and the former game-changer became a surly, pass-first guard. Jordan did wear this jersey once for a throwback night game, donning the jersey of a team he often played against this team and frequently dominated (check out the video above for proof). It’s depressing to see a picture of Jordan wearing a Bullets jersey, and even sadder to sport one in public. Let’s just hope no one starts marketing a Charlotte Bobcats Jordan Jersey. Images fromÂ Arnold Gatilao,Â Keith Allison, Custom Throwback Jerseys, Tennessee Titans Shop, thegoodzonline, Taken NFL Jerseys, NBA Jersey Outlet Store, Amazon.com, and the Department of Defense.